This pretty much sums up my decision to try my hand at racing single speed this year. 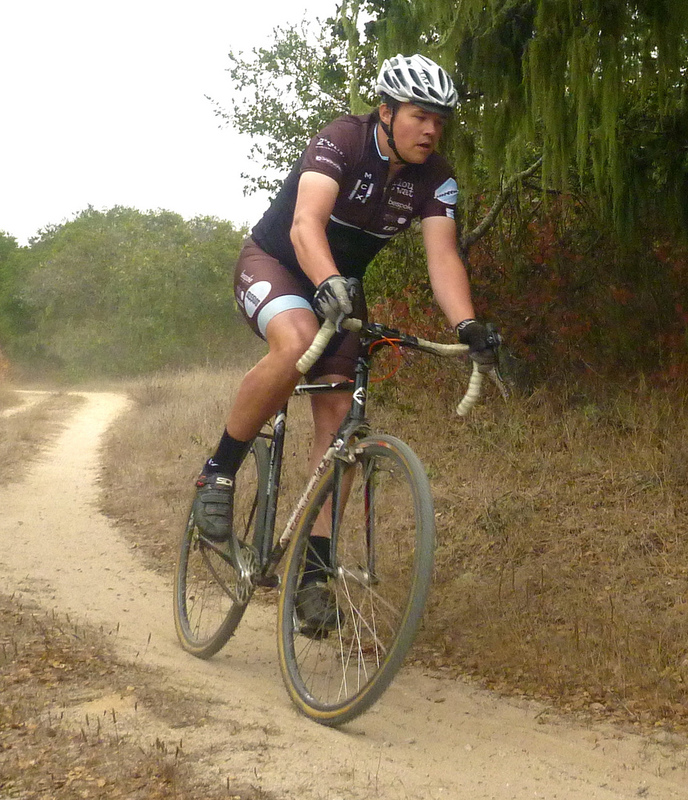 My first opportunity was at the CCCX at Fort Ord. The SS B category only had 6 racers, so for a top 10 finish all I had to do was finish. The course at Fort Ord is a bit of a bear with a hill right off the start and a relatively flat back side, making gear selection a trade off (I suspect this is true to some degree on most courses). I went with 38×18 and it worked pretty well. Climbing the hill hurt and I couldn’t spin fast enough on the bumpy flats. Perfect combo. Despite the fact that someone asked me “are you racing?” about 2/3 through the race, I felt the race went really well. Ok, so I DFL’d (proudly!). Better than doing two non-elite level races and winning both, not that I’m capable of such a thing. During the race, a couple geared racers said something like “keep it up single speed” or “looking good” as they passed me. Call it a victory.